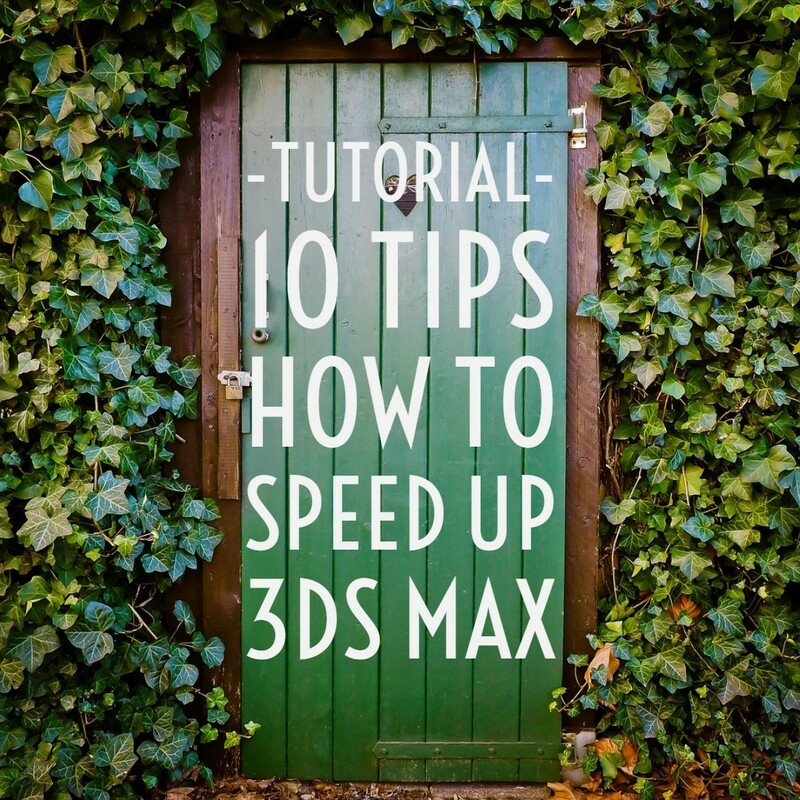 How to speed up the 3ds Max program and save time? 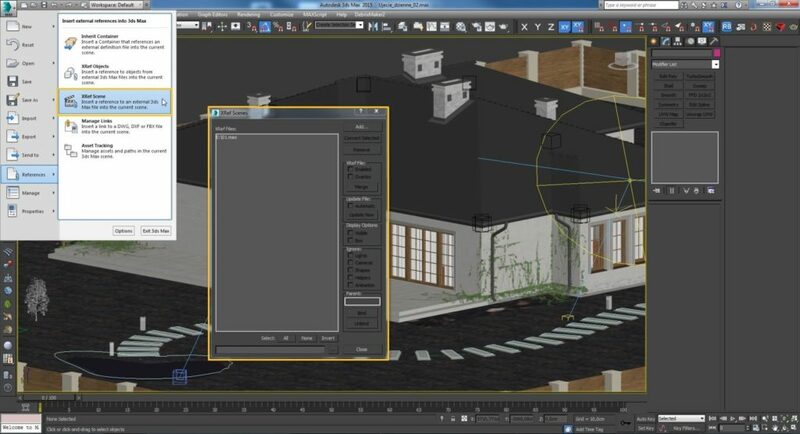 If you happen to do more complex scenes, then sooner or later your program starts to feel slower. Sometimes it even starts to be so annoying that it can significantly impede our work, which translates into a longer time of its execution. However, do not worry! There are many ways to speed up the program. If you follow the advice given below, it will certainly improve the operation of the program and will translate into the speed of project implementation. 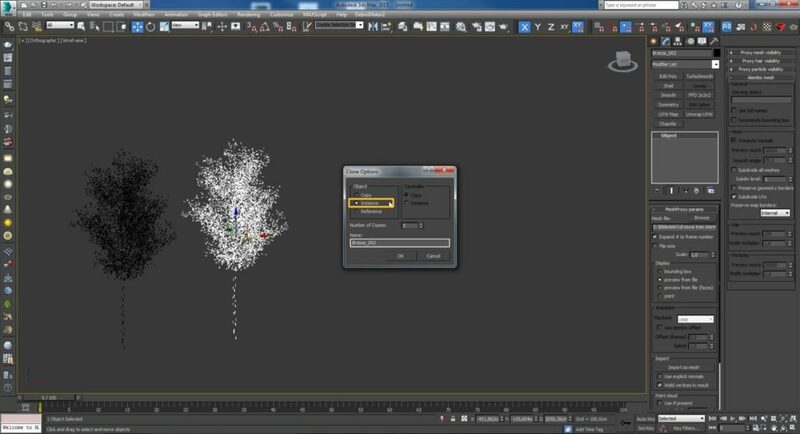 If you use objects that consist of a large number of polygons, such as trees or cars, be sure to replace them with a V-ray Proxy! With this option, the size of your files will not grow and the Viewports will work much faster. 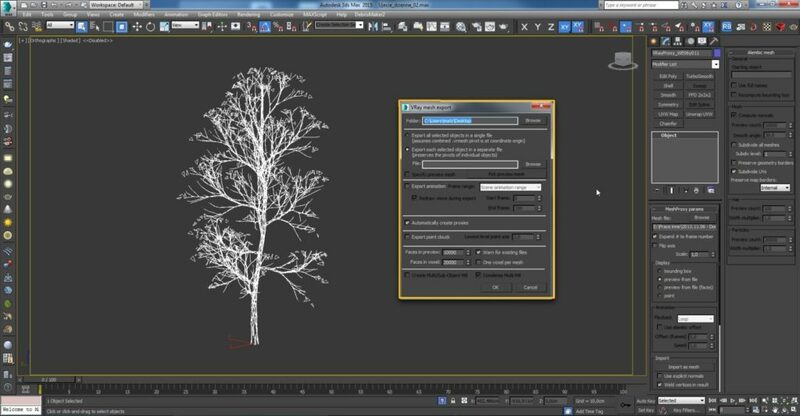 Thanks to this option it is possible, for example, to render practically unlimited number of trees. It is worth remembering that in the options Render Setup -> Settings -> System -> Dynamic memory limit, increase the number of megabytes. If you want to speed up the work with V-ray Proxy objects, it is worth changing the options for displaying them in the “Bounding Box” scene. A very useful script that facilitates control over them is Proxy Tools. Not only does it accelerate the program’s operation, it can significantly reduce the size of files. Even if you copy one object a hundred times, for example, it takes 1 MB, it will still be 1MB! For comparison, if you copy as copy, it will already be 100MB! If you use DWG underlays, try to clean them from all unnecessary lines before importing them. We recommend deleting all unnecessary blocks, and especially pay attention to objects such as trees, cars, people. If, despite minimizing the number of lines in the scene, the program is still not going smoothly, we recommend to hide them with Shift + S when they are not needed. Order in the scene is an important thing. Especially if someone else will work on your file. In addition, thanks to the layers, you can easily hide objects that you do not need at work on the stage at the moment. For example, things like furniture, trees, vegetation. 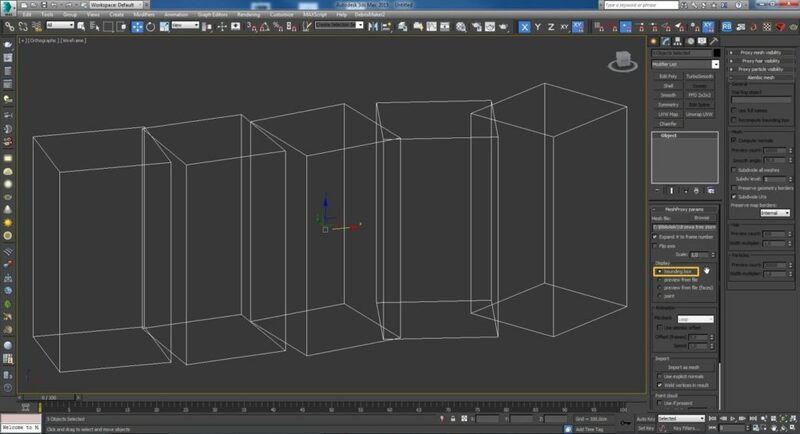 If you have finished editing the object, which consists of many polygons, then it is worth thinking about converting it to Editable Mesh. Not only does this accelerate the operation of Viewports, but additionally, objects of this type take up less disk space than eg. 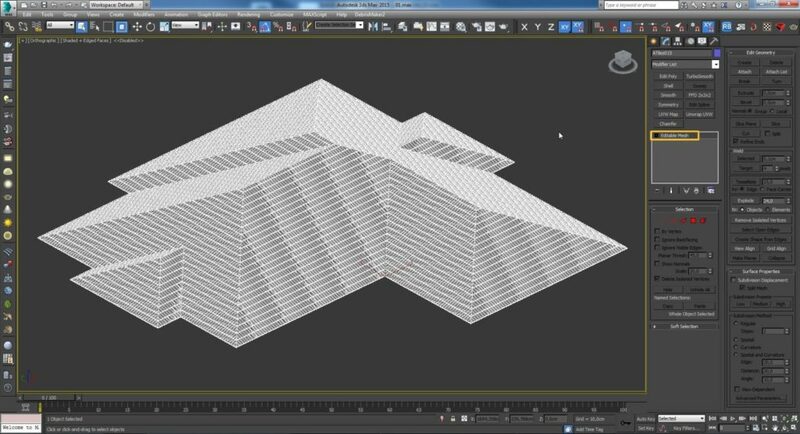 Editable Poly! A very large number of objects can often make it impossible to work freely. If, for example, you have 500 pieces of steel balustrade in the scene, then it is worth considering whether to combine them into one object. It can sometimes increase the file size on the disk, but it will significantly speed up the program. 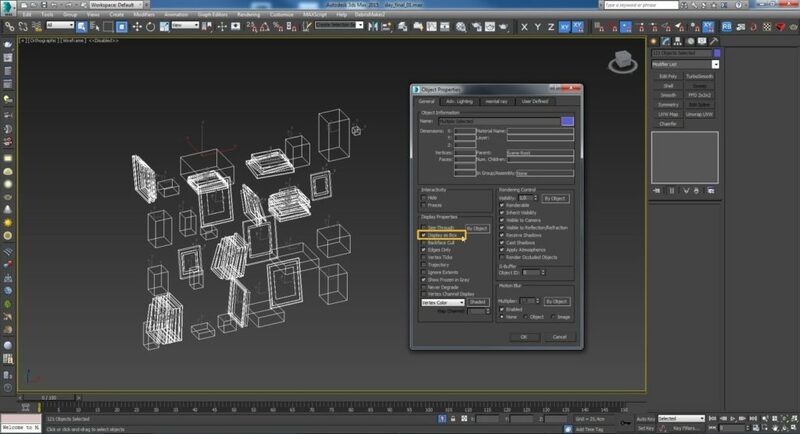 If in the scene you use models that consist of many polygons, and you do not plan to edit them often, it is worth considering whether to use the XRef option. How it’s working? 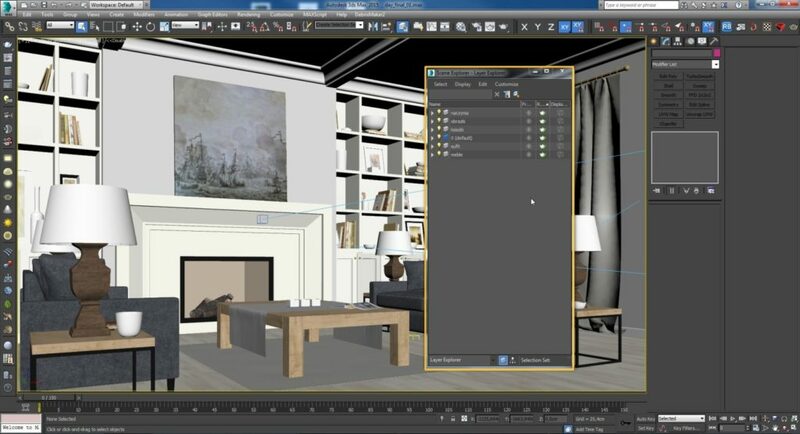 For example, if you do not want your scene to be loaded with furniture, all you need to do is select it and use the “Convert Selected” option in the XRef Scenes options. 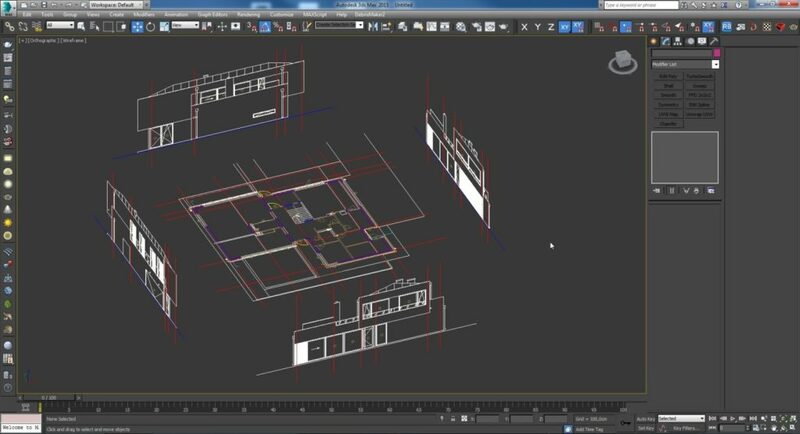 Thanks to this, the furniture will be saved to a separate file and if necessary we can make it invisible in our stage and finally be visible on the renderer! 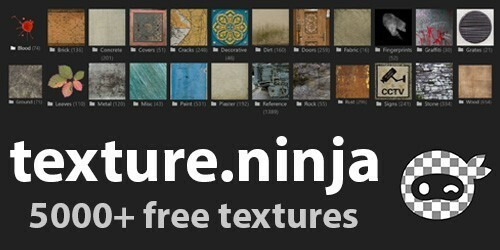 It’s always nice to have a preview of the textures on our objects, but in a situation where we want to speed up the program, we can turn them off. A very helpful script that will save you a lot of time is Turn Viewport Maps On / Off.